LDS Prophets and numerous Apostles over generations have provided abundant official declarations identifying the hill in New York as the exact site of both epic Book of Mormon battles, where millions of warriors perished with their metal armaments. Joseph Smith believed the numerous mounded earth hills located throughout the upstate N.Y. region, now known to be glacial drumlins, to be man-made Indian burial mounds. He repeatedly stated that the largest of all, the very Hill Cumorah, marked the site of the final battles of two civilizations. The massive battles depicted in the Book of Mormon represent the largest in human history. The Church maintains a large Hill Cumorah Visitor Center, hosting an annual pageant which reiterates the Lamanite narrative and final battle location. 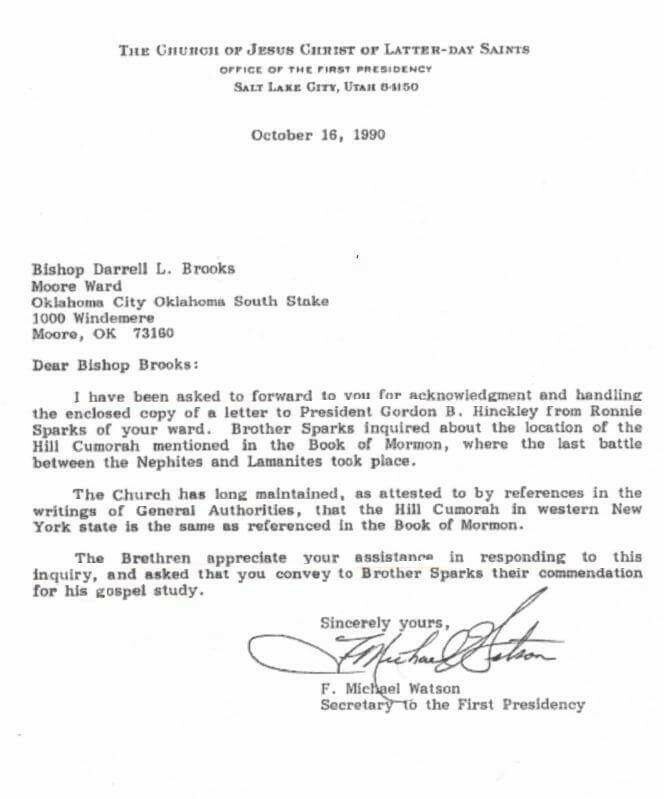 As recently as 1990, The Office of the First Presidency of the LDS Church confirmed that Cumorah is in New York. Almost every LDS Prophet since Joseph Smith has reiterated the same narrative. The U.S. Civil War, one of the bloodiest episodes in human history, killed 600,000 men over 4 years. The Book of Mormon asserts triple that number in very short order; even 2,000,000 dead (Ether 15) and later hundreds of thousands using steel weapons and armor (Mormon 6). If true, this would be the largest battle in human history. Yet Cumorah yields no bones, no metal or armor, no roads or fortifications. No known ancient population base has been sufficiently large and concentrated enough to sustain the massive numbers suggested in the Book of Mormon. Human survival was long a precarious struggle, starvation a constant threat. 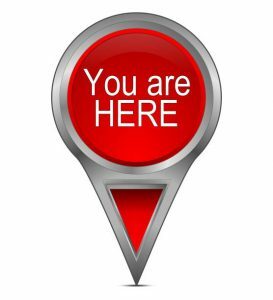 Prior to industrialization, large scale agriculture, energy production, medicine and the domestication of animals, it was not possible to sustain such a vast civilization in one location. 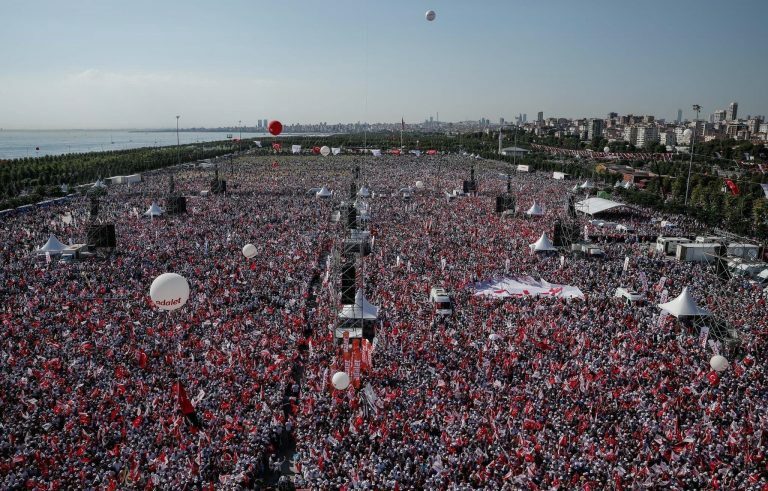 There is simply no evidence supporting any population growth of remotely similar scale anywhere in the world. The notion of 2,000,000 warriors feeding themselves in a single nomadic location, while fighting a protracted war, merits additional consideration. Even if we grant advanced metal weaponry, anyone who has ever hunted wild game will immediately comprehend the myriad compounding problems of such a massive endeavor. Within just a few days, every living creature within walking distance would have either fled or been consumed. Envision the City of Phoenix relying upon primitive hunting and gathering to sustain its hungry population while leaving absolutely no trace behind. “This time it will have to do with so important a matter as a war of extinction of two peoples, the Nephites and the Jaredites, on the self same battle site, with the same ‘hill’ marking the axis of military movements. By the Nephites this hill was called the ‘Hill Cumorah,’ by the Jaredites the ‘Hill Ramah’; it was that same ‘hill,’ in which the Nephite records were deposited by Mormon and Moroni, and from which Joseph Smith obtained the Book of Mormon, therefore the ‘Mormon Hill,’ of  today—since the coming forth of the Book of Mormon—near Palmyra, New York (Studies of Book of Mormon, 277). “According to the Book of Mormon, the Hill Cumorah of the Nephites – the Ramah of the Jaredites – must be regarded as a natural monument overlooking ancient and extensive battle fields. Around it, early in the Sixth Century B.C., the Jaredites were destroyed. Here, also, a thousand years later, at the close of the fourth century A. D., the Nephites met with practical annihilation in a battle which, whether judged by the importance of the changes it wrought in the affairs of one of the world’s continents, or the number slain, ranks as one of the world’s great battles. In view of these Book of Mormon facts, one would naturally expect to find some evidences in this section of the country for such wonderful historical events. Here one has a right to expect the evidences of military fortifications; for, though a thousand years had elapsed between the destruction of the Nephites and the discovery of America by the Europeans, still some military monuments would doubtless survive that length of time” (New Witnesses for God, B.H. Roberts, 67). “Only one more reference to Nephite wars will be necessary…mentioned here because it will bring us once more face to face with that strange parallelism we have found so many times in Book of Mormon events. This time it will have to do with so important a matter as a war of extinction of two peoples…on the same battle site, with the same hill. For identification of the Hill Cumorah…Hill Ramah of the Jaredites (Mormon 6:1-11 and Ether 15:11). Also in Oliver’s letters on “Early scenes and Incidents in Church History” there is an identification of Cumorah and Ramah” (Studies of Book of Mormon, 277). If David Whitmer is to be trusted as one of the three primary Book of Mormon witnesses, should we not also rely upon his assertion that the golden plates were returned to a cave within the Hill Cumorah, “In the State of New York.” (Deseret Evening News, Aug 16, 1878). Oliver Cowdery, another of Smith’s primary witnesses, described how he personally accompanied Smith multiple times to return the plates into the Hill Cumorah. He reported that a cave opened before them, containing the sword of Laban upon a table, and “wagon loads” of plates stacked high around the cavern (Journal of Discourses 1878, 19:38). “Further, the fact that all of his associates from the beginning down have spoken of it as the identical hill where Mormon and Moroni hid the records, must carry some weight. It is difficult for a reasonable person to believe that such men as Oliver Cowdery, Brigham Young, Parley P. Pratt, Orson Pratt, David Whitmer, and many others, could speak frequently of the Spot where the Prophet Joseph Smith obtained the plates as the Hill Cumorah, and not be corrected by the Prophet, if that were not the fact. That they did speak of this hill in the days of the Prophet in this definite manner is an established record of history….” ( Doctrines of Salvation, vol 3, 232-43). Gordon Hinkley stood at the hill in 1977 and repeated that it happened there. Elder George Albert Smith, Conference Report, April 1906, 56. Apostle Orson Pratt, Feb. 11, 1872 Journal of Discourses Vol. 14, 331. President Marion G. Romney, LDS General Conference, October 4, 1975, Ensign Nov. 1975, 35. Apostle LeGrand Richards, A Marvelous Work and a Wonder, ch 7. Elder George Reynolds, The Story of the Book of Mormon, ch.69, 325. “Cumorah, the artificial hill of North America, is well calculated to stand in this generation, as a monument of marvelous works and wonders. Around that mount died millions of the Jaredites; yea, there ended one of the greatest nations of this earth. In that day, her inhabitants spread from sea to sea, and enjoyed national greatness and glory, nearly fifteen hundred years. — That people forsook the Lord and died in wickedness. There, too, fell the Nephites, after they had forgotten the Lord that bought them. There slept the records of age after age, for hundreds of years, even until the time of the Lord.” (The Latter-day Saints’ Messenger and Advocate, Vol.2, No.2, p.221) “The hill, which was known by one division of the ancient peoples as Cumorah, by another as Ramah, is situated near Palmyra in the State of New York” (Apostle James E. Talmage, Articles of Faith, ch 14). “The great and last battle, in which several hundred thousand Nephites perished was on the hill Cumorah, the same hill from which the plates were taken by Joseph Smith, the boy about whom I spoke to you the other evening” (Apostle Orson Pratt, Journal of Discourses, vol 14, 331). “We visited the Hill Cumorah…We were delighted to be there. Looking over the surrounding country we remembered that two great races of people had wound up their existence in the vicinity, had fought their last fight, and that hundreds of thousands had been slain within sight of that hill” (Elder George Albert Smith, Conference Report, April 1906, 56). “These records were carried by Ether from the hill Ramah, afterwards called Cumorah, where the Jaredites were destroyed, as well as the Nephites” (Apostle Orson Pratt, Journal of Discourses, vol 16, 50). “Thirty-six years prior to this time his nation was destroyed in what we term the State of New York, around about a hill, called by that people the Hill of Cumorah, when many hundreds of thousands of the Nephites-men, women and children, fell, during the greatest battle that they had had with the Lamanites” (Apostle Orson Pratt, Journal of Discourses, vol 20, 62). “It will be, next Thursday night, 54 years since the Prophet Joseph Smith, then but a lad, was permitted by the angel of the Lord to take the gold plates of the Book of Mormon from the hill Cumorah, as it was called in ancient times, located in the State of New York” (Apostle Orson Pratt,  Journal of Discourses, vol 22, 224). “Finally, they became so utterly wicked, so fully ripened for destruction, that one branch of the nation, called the Nephites, gathered their entire people arountario County; and the Lamanites, the opposite army, gathered by millions in the same region. The two nations were four years in gathering their forces, during which no fighting took place; but at the end of that time, having marshalled all their hosts, the fighting commenced, the Lamanites coming upon the Nephites, and destroying all of them, except a very few, who had previously deserted over to the Lamanites” (Apostle Orson Pratt, Journal of Discourses, vol 17, 24). “The passages which I have quoted from the Book of Mormon and the more extended discussion of this subject by Elder B. H. Roberts which was published in The Deseret News of March 3, 1928, definitely establish the following facts: That the Hill Cumorah, and the Hill Ramah are identical; that it was around this hill that the armies of both the Jaredites and Nephites, fought their great last battles; that it was in this hill that Mormon deposited all of the sacred records which had been entrusted to his care by Ammaron, except the abridgment which he had made from the plates of Nephi, which were delivered into the hands of his’ son, Moroni. We know positively that it was in this hill that Moroni deposited the abridgment made by his father, and his own abridgment of the record of the Jaredites, and that it was from this hill that Joseph Smith obtained possession of them” (President Anthony W. Ivins, Conference Report, April 1928-Morning Session). “In the western part of the state of New York near Palmyra is a prominent hill known as the “hill Cumorah.” On July twenty-fifth of this year, as I stood on the crest of that hill admiring with awe the breathtaking panorama which stretched out before me on every hand, my mind reverted to the events which occurred in that vicinity some twenty-five centuries ago—events which brought to an end the great Jaredite nation . . . . This second civilization to which I refer, the Nephites , flourished in America between 600 B.C. and A.D. 400. Their civilization came to an end for the same reason, at the same place, and in the same manner as did the Jaredites” (President Marion G. Romney, LDS General Conference, October 4, 1975, Ensign Nov. 1975, 35). “Joseph Smith, Oliver Cowdery and many of the early brethren, who were familiar with all the circumstances attending the coming forth of the Book of Mormon in this dispensation, have left us a pointed testimony as to the identity and location of Cumorah or Ramah” (Apostle Bruce R. McConkie, Mormon Doctrine, 1966, 174-175). “Cumorah, the artificial hill of north America, is well calculated to stand in this generation, as a monument of marvelous works and wonders. Around that mount died millions of the Jaredites; yea, there ended one of the greatest nations of this earth. In that day, her inhabitants spread from sea to sea, and enjoyed national greatness and glory, nearly fifteen hundred years. — That people forsook the Lord and died in wickedness. There, too, fell the Nephites, after they had forgotten the Lord that bought them. There slept the records of age after age, for hundreds of years, even until the time of the Lord” (Messenger and Advocate, vol 2, no 2, 221). 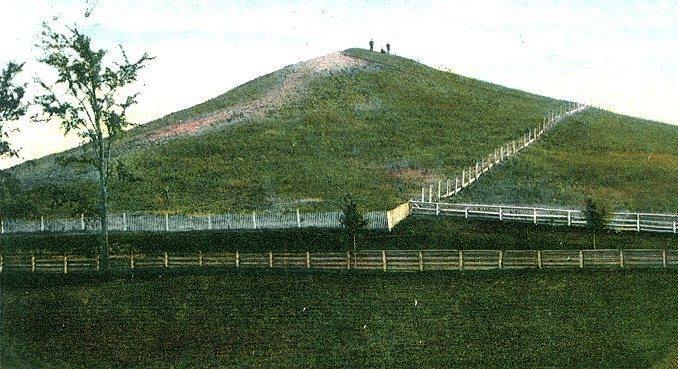 Over the years, many Book of Mormon scholars have suggested that we can’t know the exact location of the Hill Cumorah described in the Book of Mormon. Some scholars suggest that Mormon hid a massive cache of records in a hill, but not that hill, because Moroni wandered for a time with the few plates he had. “In accord with these general observations about New York and Pennsylvania, we come to our principal object—the Hill Cumorah. Archaeologically speaking, it is a clean hill. No artifacts, no walls, no trenches, no arrowheads. The area immediately surrounding the hill is similarly clean. Pre-Columbian people did not settle or build here. This is not the place of Mormon’s last stand. We must look elsewhere for that hill” (BYU Studies). “When Joseph got the plates, the angel instructed him to carry them back to hill Cumorah, which he did… the hill opened, and they walked into a cave, in which there was a large and specious room…. and there were altogether in this room more plates than probably many wagon loads; they were piled up in the corners and along the walls” (Journal of Discourses 19:38, Brigham Young, June 17, 1877). Joseph’s purported experience could only have been experienced in his mind’s eye, as we know beyond any doubt that no cave exists within the thoroughly explored Hill Cumorah. Brigham Young related a story at Conference on June 17, 1877. Heber C Kimball in 1856 taught “…more records than ten men could carry. There were books piled upon tables, book upon book” (Journal of Discourses, vol IV, 105). Numerous early LDS leaders and non-members recounted the cave story, including Hyrum Smith, Orson Pratt, Edward Stevenson, David Whitmer, William Horne, W.W. Phelps and Elizabeth Kane. “Early in 1928, the hill Cumorah was purchased by the Church of Jesus Christ of Latter-day Saints. 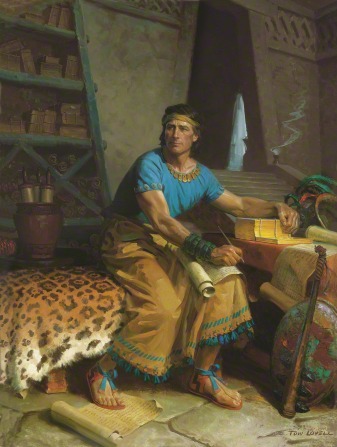 So that today that great depository of many ancient records is being held in reserve against the time when future revelations and translations will be given to the world… But most important of all, the hill Cumorah became the depository of all the ancient American records (Mormon 6:6). This included not only the abridgment made by Mormon, but the records of the plates of Nephi (both large and small), the brass plates of Laban (brought from the land of Jerusalem), and the plates of Ether” (Liahona, Elders Journal June 25, 1929, 5-6).